The Family Farm is the mythic backbone of America and consists of yeoman farmers, tied to the land, and subsisting as an independent unit. This is a topic suggestion on writing about the Family Farm from Paper Masters. Use this information or order a custom research paper, written exactly how you need it to be on how the family farm is an important part of the history of the United States. Is the family farm still viable today? Did "Farm Aid" and like benefit events actually assist the family farm? a family farm should support a family, the family should manage and retain control of the farming resources, and less than a designated amount of labor should be hired. This being said, the traditional family farm has had a traditional division of labor. Women have been called “invisible farmers” because their contribution to the labor does not involve direct agricultural or animal husbandry. “The traditional definitions of farm work focus on the work of the owner and manager, and frequently the work of women on farms goes unnamed and unrecognized”. In many ways, it can be argued that the traditional division of labor on The Family Farm, divided between the sexes, is a characteristic from the pre-Industrial era. Francis Underwood, who published a reminiscence of his New England boyhood in 1893, noted that New England men moved heavily, the demands of unmechanized agricultural labor gave men a distinctively ponderous gait and posture. Despite the strength and endurance such labor gave these men, they were “heavy, awkward and slouching in movement,” and walked with a “slow inclination from side to side”. Farm work was physically demanding, and the domain of men. Women’s contributions to farm labor are generally referred to as “help.” It was called this because women were not paid for their work and the chores farm women were in charge of making the unit self-sufficient, rather than profitable. However, bookkeeping was always considered to be one of the wife’s duties. 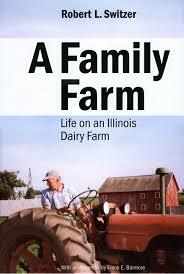 However, traditional family farms were not always able to subsist solely on the agricultural output of the land. Around the turn of the 19th century, “put-out” work became essential to the survival of many family farms. Many small farms subsisted on a combination of small-scale agriculture, husbandry and put-out work, such as knitting and wool manufacture. Thomas Jefferson and Sally Hemings - Thomas Jefferson and Sally Hemings research papers discuss how Thomas Jefferson was not a stranger to scandal and look at his involvement with his slave girl Sally. Thomas Jefferson's Inaugural Address - Thomas Jefferson research papers discuss how he delivered his first inaugural address on March 4, 1801. James Monroe - After the war, he studied law under Thomas Jefferson, and was elected to the Virginia House of Delegates in 1782. Jeffersonian Economic Model - Jeffersonian Economic Model research papers examine Jefferson's economic vision of the United States based on the triumph of the yeoman farmer. Paper Masters writes custom research papers on The Family Farm and examines how the farming industry has changed over the years, and how the work was divided between the family members.